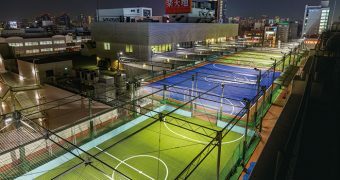 The Top 12 Experience offers 10 players and 2 goalkeepers from selected age groups the unique opportunity to come together, train, compete and live like a professional futsal player for ten days each year in Barcelona, Spain. Earlier this year in March, the Top 12 Experience took place in Barcelona. This programme gives kids the opportunity to train with top futsal coaches in Spain through a programme designed by the United Futsal Association (UFA) and Xavi Closas, head coach of FC Barcelona B. UFA and Xaxi created a curriculum designed to provide players and goalkeepers technical, tactical, and physical and psychological skills from world-class trainers and players. 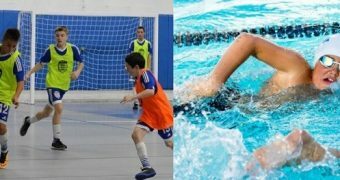 The United Futsal Association work in partnership with Pro Futsal in Western Australia and both organizations bring kids, coaches and parents to Barcelona to benefit from this experience. 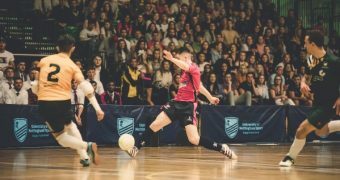 Futsal Focus reached out to Pro Futsal (Luke Tidy Elite 96 Australia Director), Top 12 Experience Director Jamie Waters and the United Futsal Association President Rob Andrews to learn more about these programmes and their benefits. The answers provided are by Luke Tidy but supported with quotes from Jamie and Rob. What exactly is the purpose of both Top 12 Futsal Experience and the Elite 96 programme? The purpose of the Elite 96 and Top 12 program is to provide a player pathway unlike any other for all Futsal players and coaches. 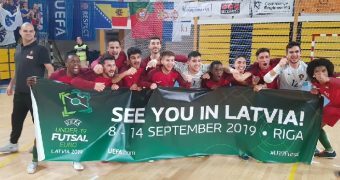 We at Pro Futsal reach out to the Futsal community Australia wide and offer a chance for players and coaches to sign up to the Elite 96 program to experience a program like no other. 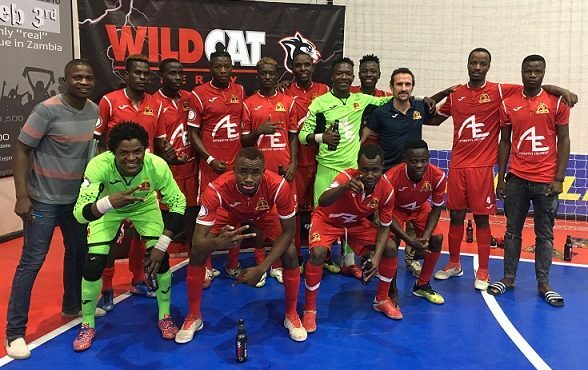 The Australian 3-hour Elite 96 player program is designed by the United Futsal Association and Xavi Closas, Head Coach of FC Barcelona B, to provide players and goalkeepers technical, tactical, physical and psychological skills. The program is then delivered from world-class trainers and/or players, with local coaches working alongside. Players receive feedback on their game and a selected few will be offered a spot on the Top12 Experience in Barcelona. An Elite 96 coaching seminar is also run for the coaches by the Professionals of the game. The 3-hour Elite 96 player program in Australia is open to both boys and girls! Of all skill levels, aged 8 to 18 years. This year the girls will train separate to the boys, to make sure they are getting the same experience. All coaches are welcome to join the program. Local coaches can participate by assisting the professional coaching staff, observing the program or attending one of the Elite 96 coaching seminars. How do you measure if the programmes are effective? The effectiveness of the program is evident in the improved skills we see from all returning players, and the flow-on effect of the coaching knowledge gained by all participating coaches. We also look for feedback on the program’s organisation/promotion, coaching quality/expertise, and overall satisfaction from all participating players, coaches, and spectators. 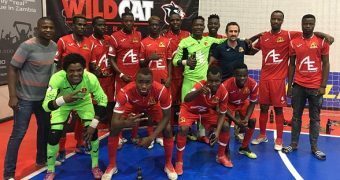 Pro Futsal sent out surveys after the 2018 Elite 96 program was complete, and the feedback was exceptional from the players to parents and coaches. The Top 12 Futsal Experience is run and operated by the United Futsal Association and proudly supported by Pro Futsal in Australia. 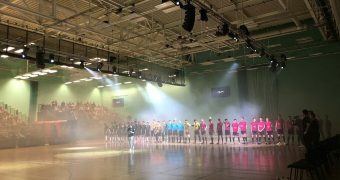 United Futsal recently sent out out customer satisfaction surveys to event participants in order to gain feedback in regards to the 2019 Top 12 Futsal Experience. 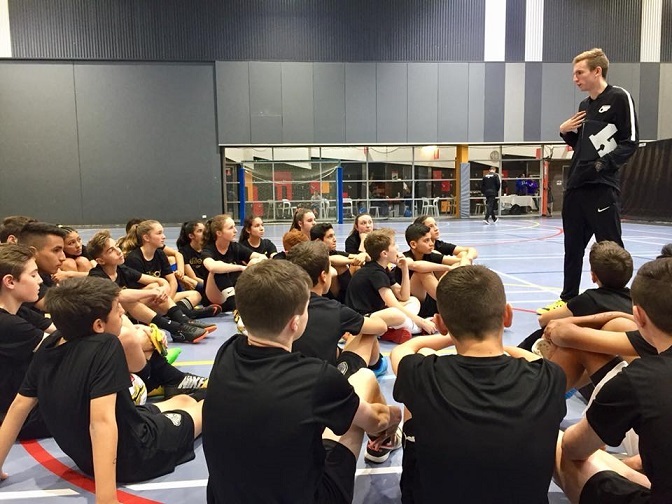 The feedback from the program was incredible, with 98% of all event participants suggesting they were completely satisfied with the overall experience and would recommend the program to other futsal families for future years. 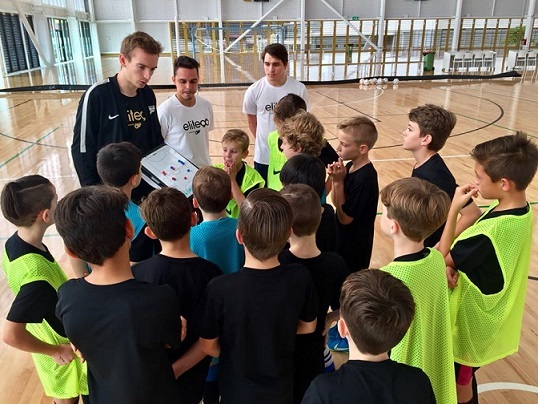 From the feedback, United Futsal has gained amazing insight in addition to their own personal assessments and have utilized the information received to make the program even better for 2020! What are your success targets? 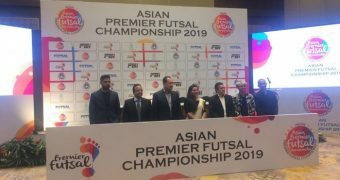 Pro Futsal rates its success on giving players and coaches as many opportunities and experiences in the sport of Futsal as possible. 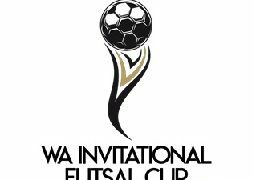 In 2019 we doubled our Top 12 Futsal Experience participants in Australia from 33 to 66 and this year for Elite 96 we will look to do the same. 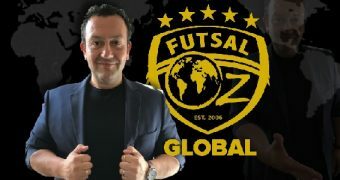 Providing these unique Futsal opportunities to young players and coaches in Australia is our passion. 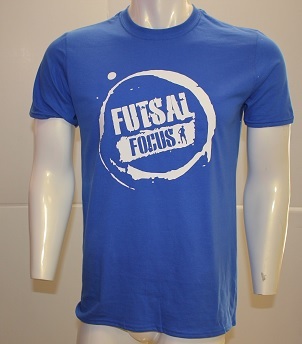 We believe strongly in creating a Futsal player and coach pathway. 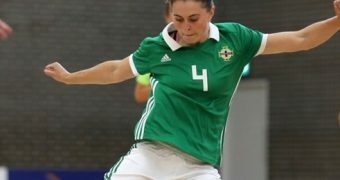 United Futsal had its most successful year to date with a combined number of over 400 event participants for 2019, adding a Women’s Sr. and Women’s Jr. program to the event. For 2020, the organization will look to continue its impressive growth by adding potential additional teams and the potential of adding some new regions to the event also. 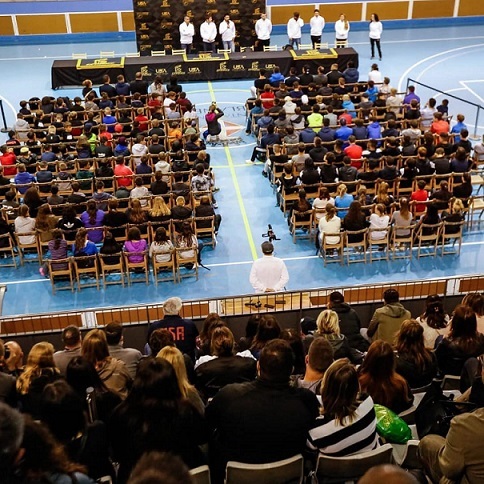 What was the benefit of the event for the players attending in Spain? Below I have combined the benefits of both the Elite 96 and Top12 programs. Bringing a Professional player or coach to Australia has so many benefits. Elite 96 Players – The first thing they realise, is that you can actually play this sport professionally! It’s possible to get paid to play. It’s possible to pursue a career in this beautiful sport. Players get to train under a professional. Players are taught new skills and techniques that they can continue to work on after the program to improve their game. From Elite 96 Australia, 12 players are selected per age category to travel to Spain for the Top 12 Experience. Here players get a taste of professional life, training multiple times a day under professional coaches from around the world! Players also get the opportunity to compete against Top 12 teams created in Brazil and USA and also local teams from Spain. Benjamin (10/11), Alevin (08/09), Infantil (06/07), Cadete (04/05), Womens Sr. (04/05/06), and Womens Jr. (07/08/09). The Top 12 Futsal Experience coaches are selected from around Australia to travel as an assistant coach to the Professionals. These coaches work alongside the professional coaches twice a day and attend a coaching seminar every evening. 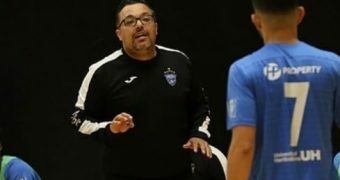 We strongly believe educating our Australian coaches is the key to the success of Futsal in Australia. We hope that all our Top 12 players and coaches return to Australia passionate about teaching their new found knowledge to their fellow players and coaches at their Futsal Club. How have the programmes improved over the years and what are the future plans for them? Elite 96 Australia – 2018 was the first year we ran the Elite 96 program in Australia, in 4 different states (QLD, NSW, VIC and WA). In total we attracted 300 players/coaches to our programs. United Futsal also ran the parallel program in the USA this past February and attracted an impressive 250 players for 2020 Top 12 Futsal Experience. We recently had a travelling party of 164 travel from Australia to Barcelona for the Top 12 Experience. For 2020 we will look to fill the program to capacity of 72 players. As mentioned previously, United Futsal had its most successful year to date with a combined number of over 400 event participants. They were able to add both a Women’s Sr. and Women’s Jr. program, and for 2020 the organization will look to add additional teams new regions to the event. 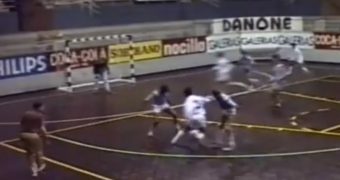 A video by the Northeast Futsal Association (NFA) giving you a look at their experience on the Top 12 programme. 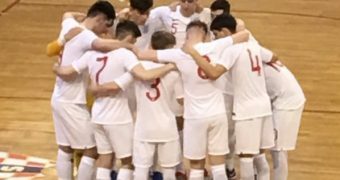 NFA was represented by president Zach Rocha and players Shane Donovan (Ginga Futsal), Thomas Irvine and Logan Burns (Wolves Futsal Club) at the United Futsal Association Top 12 Experience in Barcelona, Spain.